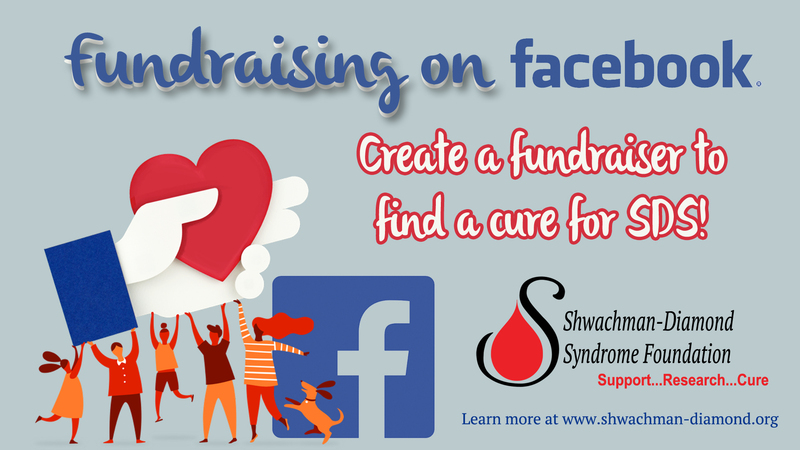 It is SUPER EASY to fundraise on facebook! You can add a “donate” button to a post to show your friends that you’re raising money for the Shwachman Diamond Syndrome Foundation. Or, you can create a “fundraiser” on facebook to celebrate a birthday, anniversary, or other events. This is such an easy way to share your family’s story, get people talking about SDS to raise awareness and to ultimately fund a cure!!! Click What’s on your mind? on your News Feed. Type a message to encourage your facebook friends to donate to SDSF. Click Add to your post and scroll down to click Donations. Search for Shwachman Diamond Syndrome Foundation Inc. and click on the appropriate selection. Join us today in fundraising on facebook!